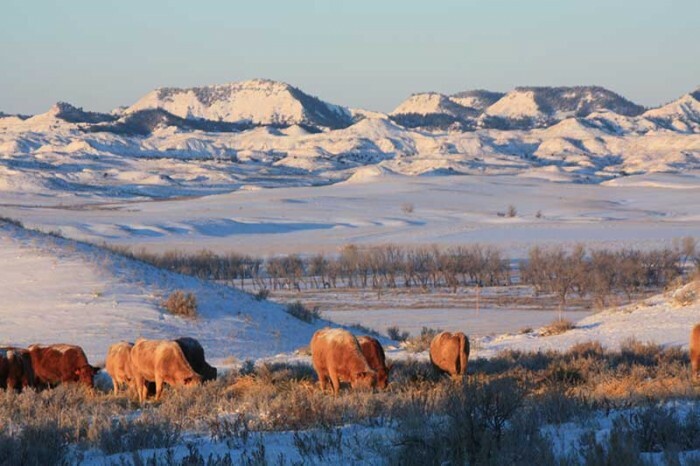 During the months of December, January and February, the ranch is typically in the thick of its winter feeding activities. If no snow is on the ground, the cows are kept in winter pastures, where they are able to utilize leftover forage from the past growing season. Since the grass is usually deficient of its typical nutrient levels found earlier in the summer, supplements in the form of lick tubs are given to the cattle to help keep their condition high. If significant snow falls, or the weather becomes so cold that keeping the water open for the cattle becomes a real issue, they are typically moved to the winter feeding grounds where they are started on hay. Surplus hay from the Harding Land & Cattle Company farm along the Yellowstone River is hauled to the ranch to help with the winter feeding. Hay that was produced in the meadows at the ranch, along with additional, purchased hay, is also used in supplying the ranch with adequate feed. 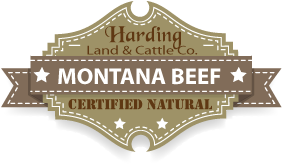 A typical winter in this region could generate the need for over 4,000 tons of hay at the Harding Land & Cattle Company ranch.